After gym today, a friend came over and we went over some quilts she wants to make/have quilted for the displaced people in Eastern WA. It truly was a lovely afternoon and as you know, the topic is never strictly adhered to, so she updated me on some things in Australia. She is working with a 4H group over in Eastern WA that will be handing the quilts directly to the recipients. Some of them are also involved in learning to sew a quilt top. A 13-year-old girl sewed this one together. 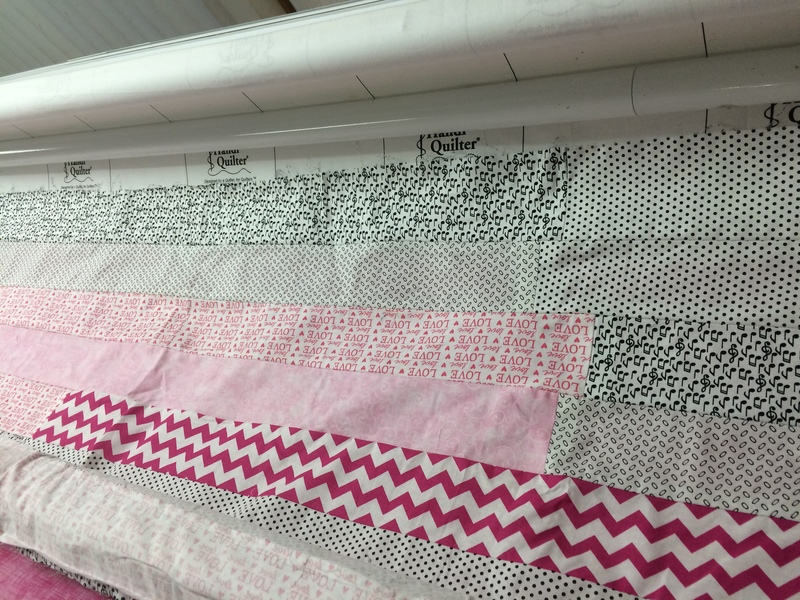 It is roughly 80″ square (before quilting) I have sewn the back together and mounted as much as I can. It is large enough I had to preshrink a new piece of batting. Knowing this particular batting shrinks a fair amount, I didn’t want to take the chance of quilting it without preshrinking the batt. 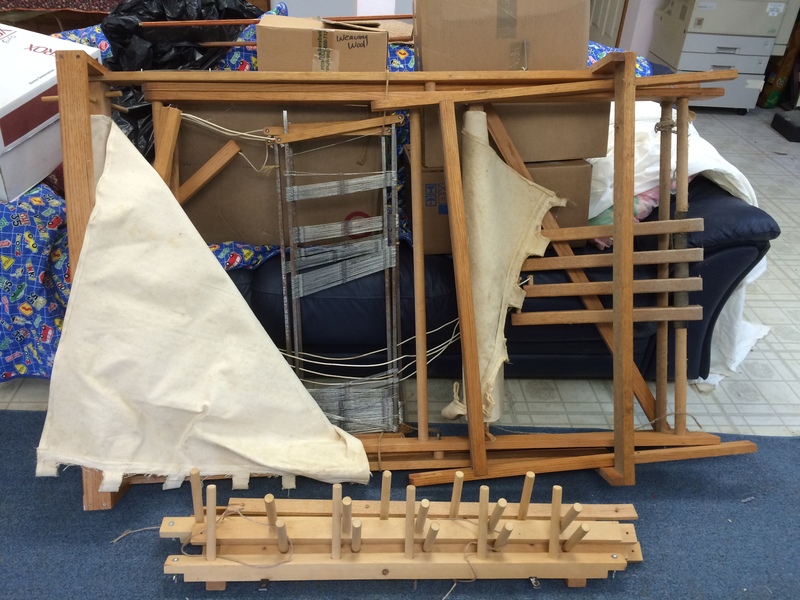 Here is a loom that I was given. It will sit until I have a reasonable amount of time to figure out what is what. Or until Mary comes over and insists we figure it out.